Glossary of Terms | Malmaxa. Another View, of True ©. This is the Glossary of the first novel in my series, Malmaxa, and strives to reveal the nature of words and of concepts within my created culture. Though many words are similar to ours, their usage by the Seizen might vary – in such circumstances an explanation is offered as to the Seizen use. For those interested in reading the tale itself, fear not – this is not a spoiler. Malmaxa is a complicated culture, with customs entirely different to our own. 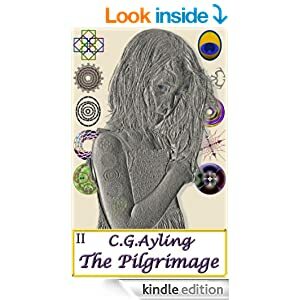 At the risk of sounding arrogant, I doubt you have ever read anything remotely similar to this tale – superficially similar, yes but no more than that. The Glossary is written in the tone of the novel and strives to remain in character – it is intended as an aid to readers of Malmaxa. A council comprised of Symbologists and Scribes who are responsible for the final authorization of each Seizen’s unique mark. These councils only form within Malmaxa, during the Convocation. Any creature not bound to a place of conception. The term is not limited to mammals. The unbreakable union formed between a Seizen and a Chukrah. A phrase coined by Daniskira, which refers to a segment of the Segattoo. The segments have a large slightly flattened ball shape with six evenly spaced limbs rising from their circumference. Vaguely similar to a pumpkin in appearance, but green and spine covered. A wagon drawn by a matched pair of jumenta. These vehicles are used for the transportation of personal effects, supplies, or trade goods. A form of dehydrated meat, which has been preserved with salt and herbs. Venison is the most highly prized for its piquant flavor, though most flesh can be used. A metallic appearing object, worn as a pendant suspended around the neck. They are spiritually bound to their bearer and are held to be sacred instruments of the Gods. Chukrah are flat hexagonal shaped discs comprised of six twisting segments meeting in the center. The color of a Chukrah when worn, particularly when activated, determines the class of the wearer. The after effects of a Chukrah matched Warrior’s battle frenzy. Chukrah debt manifests as a very strong need for food and drink, which must be urgently consumed lest exhaustion ensue. Chukrah debt is unique to the Warrior class. 1. The cache of Chukrah, which are currently unbound. 2. The very center of Malmaxa, also known as the Central Plateau, or the Pinnacle of Malmaxa. All unbound Chukrah are housed within it. A heavily runed obelisk, which emanates a pulsating aura. Every Seizen town, from smallest village to largest town, has one. Chundrah are always located in the central fountain, where they rest atop a stone pedestal. A thorough and all-encompassing investigation. Common usage refers to the detailed investigation Herbalists perform on the entrails and organs of beasts, to ensure they are safe for consumption. A village or town council composed of learned people, often Elders. Circles have little formal structure, other than a head person. They seldom include Warriors. The term describing the first match of one Seizen to another. A gathering of all the Seizen, within Malmaxa (the place). This occurs every time the Heavenly Body is overhead. This happens once every six cycles. The sixth, and last, day of each Sixday. A period of twelve lunar cycles, also called “short cycles” or lunas. A new cycle begins when the Segattoo drops its flowers. Long cycle (six cycles), the period between Convocations. Short cycle or luna, comprised of six sixdays. Sixday – a period of six days. The mechanism by which a Water Monger absorbs energy from someone, or transfers energy from themselves. A special parchment, usually made of vellum, which contains a Seizen’s lineage, for twelve generations. A Document of Lineage contains both parents’ entire male and female lines, mother and father. A Seizen who has seen six or more Convocations. The honorific, “Elder of the Seizen”, is automatically granted to every Seizen on entering Malmaxa for their sixth Convocation. The bond formed between a Seizen and their Chukrah when a twelfth-marked child enters the Chukrah hoard. This match is eternal and unbreakable. It is also the final rite of the Rite of Passage. The fifth day in a sixday. A layered garment, commonly of soft cloth layered beneath hardened leather. It is worn beneath a chain mail hauberk to prevent the metal coming into contact with the skin. Uncommonly, a sixth child of a sixth child. A measurement about equal to the length of a man’s outstretched hand. In terms of measurement a hand is approximately half a foot. A chain mail shirt worn by Warriors. They are customarily made of copper. Used to measure time of short duration. Roughly equivalent to how long it takes a heart to beat once, in a person at rest. An orbiting body, which appears only once every six cycles. The name of the Heavenly Body is Malmaxa. In Seizen speech neither herb, nor Herbalist utilize a silent “h”. A Seizen matched to a Herbalist Chukrah. The Herbalist class specializes in the identification and gathering of herbs, which they utilize in the manufacture of curative and other potions. Herbalists, as the principle caregivers of the Seizen, are commonly called on to perform cinctures. Herbalists are also called Healers. A versatile, loose fitting, scarf like garment made from a single piece of densely woven cloth. Hijath are normally about two feet wide and four to six feet long but vary according to the size of the wearer. The most common use for a hijath is to protect the head, neck, and shoulders from exposure to the elements. They are made from a variety of materials ranging from simple linen to finest silk. Those worn by women are generally more colorful than men’s are. Commonly denotes the Chukrah hoard. The Seizen way of speaking and addressing another in formal terms such as Elder, Warrior, Father. When a word is used in its honorific form, special emphasis is placed upon it. Honorifics are indicated in the text by capitalizing the honorific word. Honorifics often indicate a change in tone from casual to formal. An honorific is also used deferentially to indicate honor, thus the term. Time is an imprecise measure. Though there are always twelve hours in the day, and twelve in the night, they are not measured by anything other than experience. During summer, when days are longer, the daylight hours are longer than those of the night. The six Laws defined by the Gods and carved into the stone upon the Pinnacle of Malmaxa. The six divine laws are unchangeable, and require absolute obedience. Large, longhaired, domesticated beasts suited to drawing wagons or carts. This is their primary purpose. They are invariably in matched breeding pairs. Jumenta hair, once harvested and woven, is extraordinarily strong. Commonly a measurement, about the length of the second knuckle of a man’s forefinger. The distance a Warrior can march in about an hour. Six cycles. A new long cycle begins at the end of the Convocation. To release an arrow from a bow, or a projectile from a slingshot. The time it takes from full moon to full moon. A luna comprises precisely six sixdays. The first day in a sixday. The full moon always coincides with this day, thus its name. A wildly variable alcoholic beverage made from various combinations of herbs, ale, partly fermented grain mash, and aged spirits. Its potency varies from mildly alcoholic to extremely intoxicating. Mahahsee is often served mulled, or heated. The approximate pronunciation is “mah hah see”. Correctly: The true name of the Heavenly Body. Commonly: The place over which the Heavenly Body appears, once every six cycles, within which the Convocation takes place. Alternatively: The name of the world. The unique symbol used to identify every Seizen. The word “symbol” is used interchangeably with “mark”. Each Seizen is tattooed down both arms with their marks of ancestry. These are the symbols of their mother’s mothers and their father’s fathers, for twelve generations. Seizen are granted two new marks, one feminine and one masculine, once each cycle until they reach twelve. The number of marks a child bears determines their age. Children are referred to collectively by the number of marks they bear, for example, “the fifth-marked” refers to any children bearing five marks on each arm. A term used to describe two distinct and completely unrelated unions. Primarily: The union between a Seizen and a Chukrah. This bond lasts until the Seizen dies, at which time the Chukrah becomes unbound. It is correctly termed a “Chukrah match”, though this form is seldom used. Secondarily: The union between a man and a woman. This is correctly termed a “Seizen match”, though the correct term is seldom used. Matches between Seizen are made during the Convocation. Commonly: Any union formed between a man and a woman during the Convocation, regardless of age. A Convocation that occurs during a Seizen’s twelfth, eighteenth, and twenty-fourth cycles. Seizen are eligible to be matched to another Seizen during matching Convocations. Measurements are generally imprecise and normally cover distance and time. Measurements of distance (increasing) include: knuckle, hand, foot, pace, and league. Measurements of time (increasing) include: instant, moment, heartbeat, heartbeat counts (e.g. A fifty count), hour, day, sixday, luna, cycle, and long cycle. A term of endearment used for grandmothers. To have an arrow seated upon a bowstring, ready to draw. An unbound female beast, which is not pregnant. Nullipar is generally used to describe a female beast over one cycle in age. The number six has special significance to the Seizen. Six is commonly referred to as “The Number of the Gods”, and is held to be a portend of both good, and ill.
Any person matched at Malmaxa only once. The paper like material on which scribes record information. The midpoint of the time the Heavenly Body is overhead. The time Malmaxa is highest in the night sky. Loosely, the second or middle of the three lunas during which Malmaxa is overhead. Considered the most auspicious time to pick Segattoo blossoms. Correctly: A military formation wherein Warriors present a shielded structure to the enemy. Phalanxes usually have three rows, of twelve warriors each. Four further warriors act as a roving rear guard. Also: A military unit numbering forty Warriors, based on the number needed to build a single structure. Offspring. Commonly used to describe children, however the term can be applied to any young, of human or beast. A term for any of the spines of the Segattoo containing colored resin. Quills are the large spines on the bowls of the Segattoo, not the tiny ones on its arms. Spine can be used instead of quill. Less commonly, a writing instrument that uses ink as its medium. These are usually made from the massive hairs of a porcupine. The first Freyjasday after the Rise of Malmaxa. This is the day on which existing matches are renewed for a further long cycle, or where dematched Seizen make new matches. The three steps separating a child from an adult. They occur during the child’s twelfth cycle. The transportation of unbound Chukrah to the hoard, followed by a ritual taking place within Malmaxa, during the Convocation. This Rite is repeated as often as necessary during the Convocation. During the ritual the unbound Chukrah of the deceased are returned to the hoard, and their former bearers are remembered by name and sometimes, by their deeds. A crude term used to describe someone who fails to be Seizen matched during the first Freyjasday they can be matched. A plant covered in multi-hued, resin-filled spines. Specifically “The Gift from the Gods”. The Segattoo is fundamental to the culture of the Seizen. Every family has at least one of the plants. The collective name of the people. A lunar cycle, or luna, or six sixdays. The time it takes from full moon to full moon. A mystical number of special significance to the Seizen. It is a strong portend of both good, and ill. The determination of which, is unclear and is determined by the circumstances. A period of six days. The days of a sixday are named respectively, Lunaday, Ziosday, Wodansday, Thorsday, Freyjasday, and Cronusday. The sixth child of any Seizen. Since twins are exceedingly uncommon, having three sets of twins is extremely rare. Partly for this reason, and partly since the number six has special significance to the Seizen, a sixth child is considered favored by the Gods. Someone matched to a Symbologist Chukrah. A Symbologist’s primary role is in tattooing the symbols of family with which all Seizen adorn their arms. The fourth day in a sixday. There are no precise measures of time, only general approximations. Counts of heartbeats are often used for periods of less than a quarter hour. General descriptions such as sunrise, sunset, noon, mid-morning or afternoon, evening, and night serve well enough. The term of endearment Jalgar’s grandchildren use for him. Toppie is not a formal word, though it can be used in the honorific form. A special term used to describe a Seizen who bears twelve feminine and twelve masculine marks of ancestry. The term is only applied to Seizen who are yet to be matched to a Chukrah. Any person who has been matched two times. This term is superseded by thrice-matched. Amongst the Seizen, twins are uncommon. A collective term meaning any living creature not explicitly bound to a Chukrah. A Chukrah which is not bound to a person – invariably from a deceased Seizen. All such Chukrah must be returned to the hoard, by Divine Law. A Seizen who is yet to be matched to another Seizen. Politely: A Seizen who is eligible to be matched to another Seizen, but is not. Such Seizen often wear a colored necklace to indicate their status. Generally, the less polite term “dematched” is used for this circumstance. A thin, remarkably durable form of parchment made from a cured hide, usually lambskin. Due to its rarity Vellum is reserved almost exclusively for Documents of Lineage. A thorny spine taken from the bottom bowl of the Segattoo. Vhials are filled with a clear resin that acts as a potent painkiller when injected. Only the quills from the bottommost bowl of the Segattoo are called vhials. The first Rite of Passage to adulthood. Undertaken by every Seizen during their twelfth cycle, and before they enter their second Convocation. The third day in a sixday. A beast not yet past one cycle in age. Though the term is not gender specific, it is commonly used to describe a young female beast that has not yet entered oestrus for the first time. The origin of the term is unknown. The second day in a sixday. 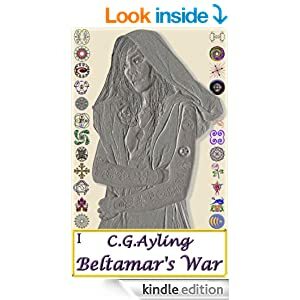 You may read the sample of Malmaxa I – Beltamar’s War.